We must learn how to get along with smart machines in order to maximize the enormous value they bring to the workplace… the accelerating pace of technology change and innovation creates a growing demand for high-level technical skills. And that’s where it leaves off an insanely important three-letter word. Whenever you hear someone say “computers aren’t good at X,” mentally append yet. Machines may not understand how to anticipate and play on human emotions and responses yet, but they will. The word yet is the crucial part. There is already a growing body of not only research, but working implementations of computers being able to understand and contextualize human emotional responses. I’ll leave it as an exercise to the reader to explore this topic. The implication is that we should not be reassured. Computers will someday understand marketing, design, analysis of large data sets, and how to build and program new machines. When these breakthroughs happen they will be stunning. But they will happen. It’s just a matter of time. If you don’t believe it, just think of the last 150 years of “X will never happen” claims. My parents used to have a full-page spread from a newspaper, probably the Wall Street Journal, fastened to our refrigerator with magnets. It was covered with dozens of thumbnail-sized photos of expert after expert proclaiming that heavier-than-air flight was impossible. All the predictions were from the late 1800s and early 1900s, just before flight was achieved. Practically every scientific advance has been predicted by claims of its impossibility. X-Rays, nuclear reactions, faster-than-the-speed-of-sound flight, everything. I believe there is one untouchable realm, and that’s the deeply internal area of purpose in our lives. I believe technology won’t be able to give us happiness, fulfillment, or meaning. Some things have to be done for oneself. Similar to the ability to focus, no external person or thing can give you happiness. An analogy is physical fitness. If a machine or drug could magically make you strong and fit in every measurable dimension, would it be the same as fitness earned through CrossFit or other strenuous work? I claim it is not. Physical conditioning is partly emotional and mental—maybe even spiritual. These benefits have to be earned. You’ll only get out what you put in. Thus it will go with technology in general, in the realms of psychology, religion, and general emotional and mental health. 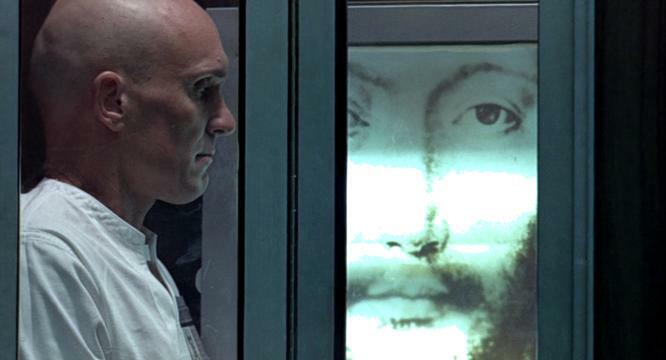 The great film THX 1138 has a digital confession booth that gives a dystopian version of what it might look like for computers to play the role of God in our lives. Although crude, it’s probably not too far off in terms of the efficacy of even impossibly advanced technology. Someday we may find ourselves with everything we need except something meaningful to do. Computers, technology, and corporations will need us only to feed the system. Metaphorically speaking, of course. Who will be the true survivors and winners then? I believe it will be those who have put in the hard work required to be in good relationships with themselves. Regardless of their environs, people who have cultivated the ability to exist in the moment—a conscious contact with a higher plane of existence that is to be found and contacted only within—will be the true elites. Or do I also stop short of realizing the power of the coming advances of technology and medicine?